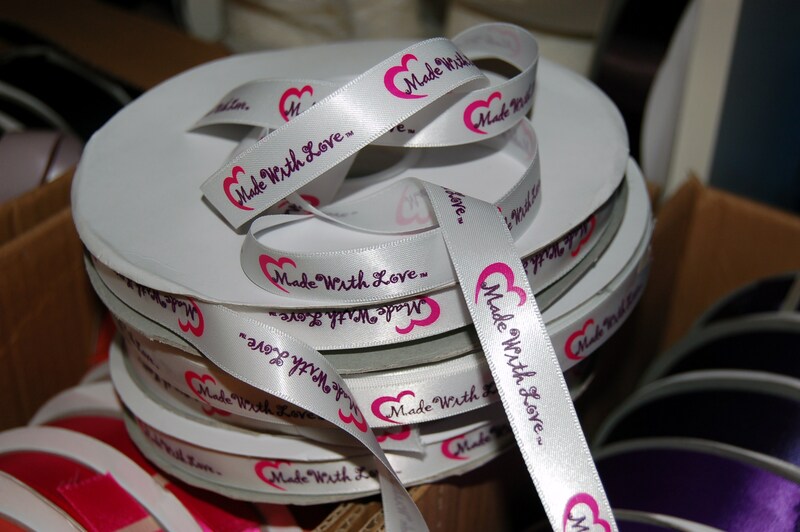 Logo Printed Ribbon for Small Businesses coming soon! It’s here our brand new logo printed ribbon! So soft so silky and it’s got our logo printed all over it. We are SMITTEN!! It’s been months of searching. Trying to find a good quality ribbon with excellent print that we could buy in smaller quantities (perfect for us smaller businesses who don’t need 56 reels of ribbon at each order thank you very much) that was reasonable priced. It seemed as though printed logo ribbon was out of the question for small business owners. So we decided to do our own. And isn’t it pretty. We are planning to sell printed logo ribbons aimed specifically at the small business owner. Beautiful quality, at an affordable price (the best we reckon) at low minimum order quantity (1 100mtr roll). Launching from 8th August 2011. We think you’ll like. We use ours for packaging products, fastening catalogues / sample packs, making things look pretty, tieing in our hair!! If you’re interested drop us an email to enquiries@madewithlovedesigns.co.uk and we will email you full details as soon as we launch. Weeeeeeeee exciting no! If you have yet to be exposed to the phenomenon that is honey badger, watch the video here. Makes me giggle every time. 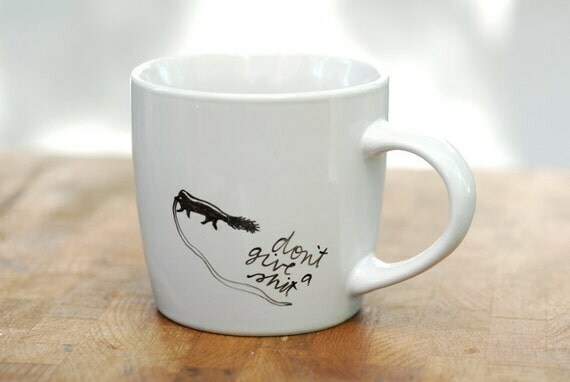 These cute honey badger mugs via Door Sixteen make me smile. Take a look at their other designs here. Very cool and they ship to the UK too. This is my one and only real tattoo. My Lilly flowers name in a dot to dot which I drew to represent her little life already being mapped out in the stars (destiny & fate / nature v’s nurture) – (with 19 stars for hers & mine birthday). I like that people don’t know quite what it is when they see it (it looks a bit like a scribble) but that it’s special to me. Tattoo’s seem so final and are permanent so it was important to me to get something with meaning that would be with me forever. I’m not the kind of person who would go for a chinese symbol or pattern but would definitely opt for one of Tatly’s quirky temporary designs. Oooh which one?